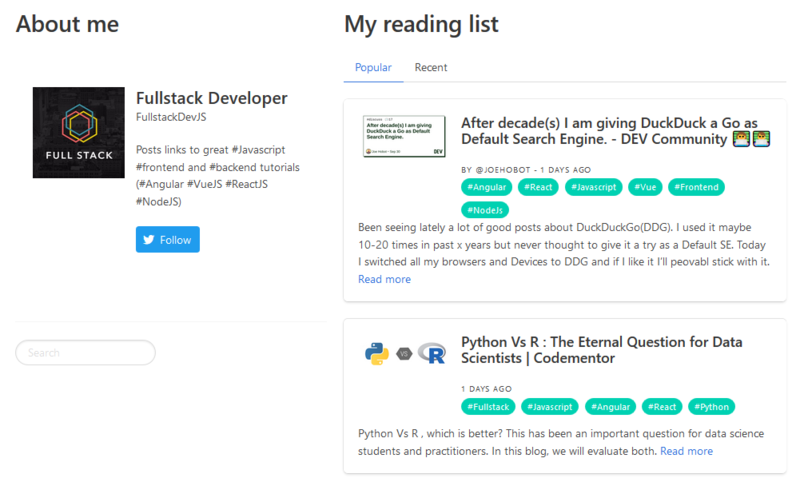 Surely you have seen many tools that can help you manage twitter feeds allowing for easier monitor of people and hashtags, and maybe some built with Vue, such as Storeed. 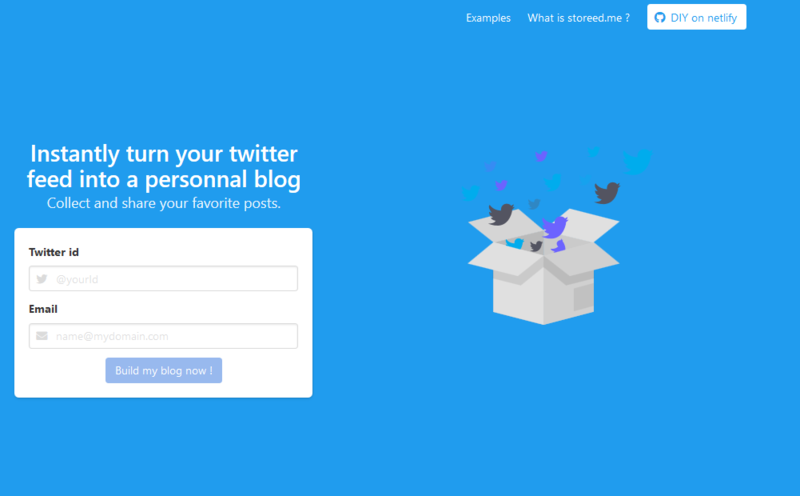 With Storeed.me you can instantly turn your twitter feed into a personal blog just by providing a Twitter id and an email. To start collecting and sharing your favorite posts fill in the details, click Build my blog now and wait for the email notifying you that your page is ready. The following message should display: We are building your page. We will send you an e-mail to your@email.com as soon as it is done. This side project was inspired by Francois Zaninotto's post "Why I Tweet Three Links A Day". Francois explains that twitter is a great way to store and to share interesting links. The most efficient way to get some reading suggestions is to look at the links curated by someone who share the same points of interest. With another perspective, I thought it would also make sense to design a personal blog with something wider than a simple picture of me, followed by a static list of my skills/projects. Publishing my favourite posts is a way to tell who I am. So I made this simple tool that gets all the links embedded in you last tweets, then analyze each post to get some data : title, author, description, picture. The result is dumped to a json file. I wrote a couple of vue.js components to show the result and implement some features (sort, search). What about "DIY with Netlify" ? The idea is to let you design your personal blog. You can instantiate a basic nuxt template on Netlify, and modify it as you want to do a custom site : your design, your domain, and more additional pages. Before that, you will have to get some twitter dev credentials. Up to now, this feature is still under development.